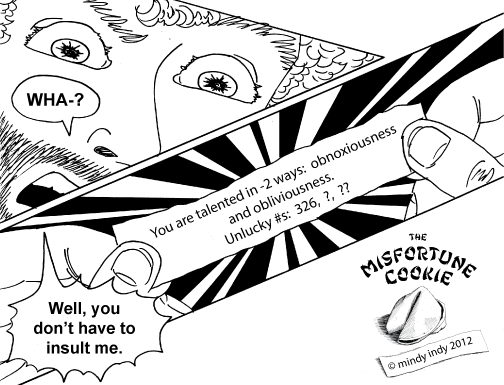 This Daily Misfortune is based on the fortune: "You are talented in many ways." Is this thing on? 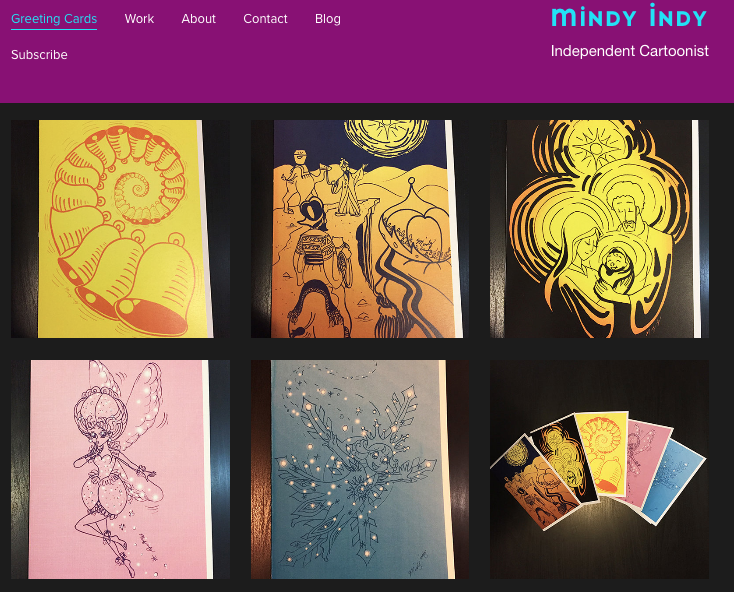 I recently moved my mindy indy site to SquareSpace and am loving it so far! It has better security than Wordpress, so I think that will solve the spam problem I had awhile ago, which was why I stopped posting. Luckily, a techie friend helped me backup Wordpress and convert all my files and do stuff I didn't understand, but I think we're on track to getting back to normal with my mindy indy updates. I'm still in the process of building the SquareSpace site, but it's really spiffy looking so far! And has more of a professional portfolio look to it rather than just the blog layout of Wordpress. Anyway, hope most of my mailing list peeps receive this update - I'm sorry for being gone for so long!